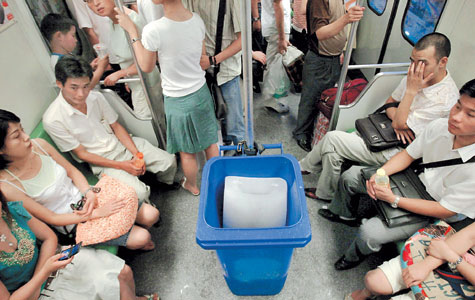 Shanghai is China’s largest city, and has a substantial public transit system. The different types of transit are all integrated with each other. The best way to buy tickets is to purchase a transit light blue IC card. It works as a debit card, as you put credit on it, and it takes the credit off whenever you use it for a ride. You can add more credit onto the card at metro stations, convenience stores and even at McDonald’s. You can use the same card in most vehicles, including buses, light rails, ferries, metro and even some taxis. You can purchase one of these cards at any counter of the Metro Stations. You must pay a deposit for the physical card, but you get it back once you return it. 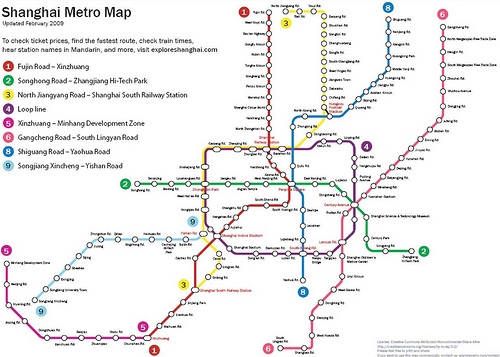 The Shanghai Metro, aka the Shanghai Rail Transit, includes the subway and the light rail lines. This system is the easiest and best way to get around Shanghai, even if you do not know the language. It is a newer system that has been open since 1995, and has been growing ever since. 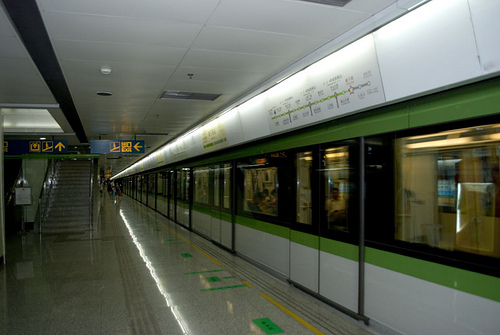 Today, the Shanghai Metro includes 11 lines and 217 stations, which make up 367 kilometers of tracks. It has the second largest metro network of Asia, after Seoul, South Korea. Many new lines are under construction, and there are a projected 20 lines to be built by 2020. The metro and light rail are connected, but locals feel that the light rail is not as reliable as the metro. Click here for a complete map and time table. In Shanghai, there are both urban buses and long distance buses. In total, there are approximately 1,100 bus lines that run throughout the grounds of the city. The urban buses mostly have uniform rates, no matter how many stops you take, but the long distance buses have fluctuating prices, depending on how far your overall trip goes. There are special number codes to understand the bus lines. For instance, buses 01-200 are the downtown regular lines; 201-299 are the rush hour lines; 301-399 are the night lines; 401-499 are the cross-river lines. There are also special and suburban bus lines. There are ten tourist bus lines, such as Tourist Line 6, that goes around the Shanghai Stadium to the Jiading District; Tourist Line 7 goes through many of Shanghai’s cultural and historic sites.